The ‘’Furoshiki’’ cloth is a traditional japanese packaging cloth, mostly used for carrying clothes, gifts, or other products. They were also used for carrying food, the ‘’bento’’ in particular, bento boxes being usually wrapped in a ‘’furoshiki’’. You may have also seen Geishas, Maikos, or someone else wearing a kimono with a bag that looks like cloth attached in a spherical shape. Sumo wrestlers also use the ‘’furoshiki’’ when they go out and wear traditional japanese clothes. The ‘’Furoshiki’’ is also considered as the traditional casual bag in japanese culture. Its origin dates back to the Nara period, when people going to the hot springs (‘’onsen’’) avoided getting their clothes mixed up by wrapping them in a ‘’furoshiki’’ (furo = ‘bath’ / shiki = ‘spread’ ). Later, merchants started using it in their stores to protect their products. 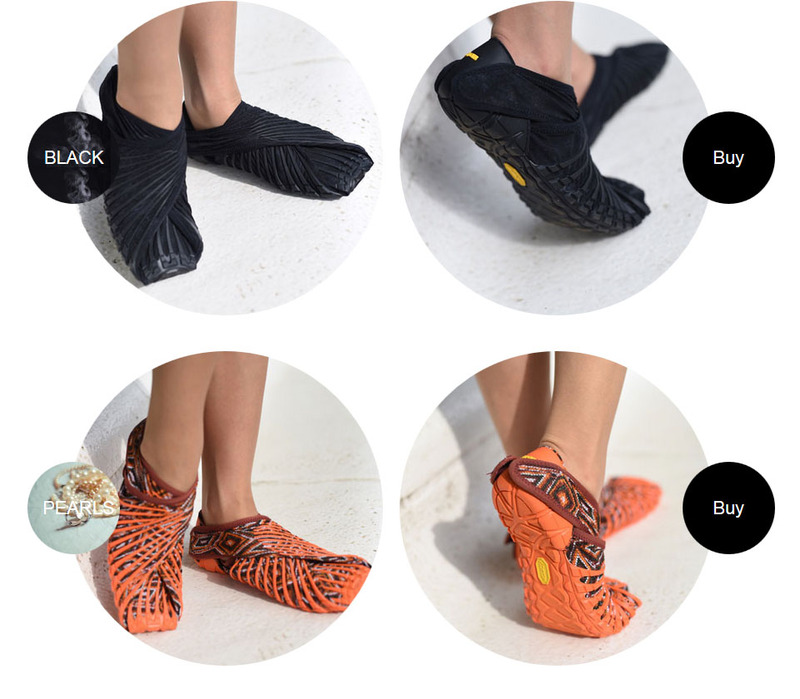 Created by the Vibram brand and Masaya Hashimoto (a japanese designer from the company), Furoshiki is currently the shoe model that stands out on the market. Combining comfort and originality, this product also allies japanese traditions and a technological touch that garantees an impressive freedom of movement to the wearers. Indeed, it’s the kind of shoes that you wear without even noticing you’re wearing something around your feet. This is a great innovation by Vibram who managed to combine simplicity with cutting edge elements and who’ve probably changed the way shoes are conceived. 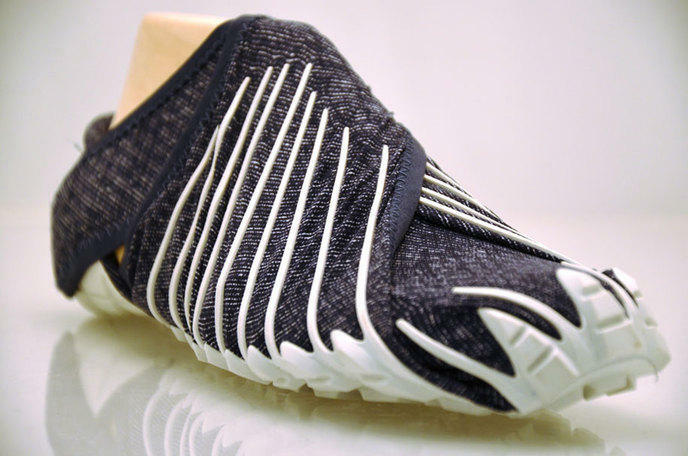 The Furoshiki shoes started out as a concept that was presented in 2011. The goal of Marco Bramani, the company president of Vibram, was to create an unique sole that had to stand out from the static models we often used to see. With the help of the designer Masaya Hashimoto, the model was created after several years of development. After this step, an initial line was presented in the United States, with six different sizes and five different colors. The first pair that was examined was called Furoshiki Original, it was a model that impressed more than one. It’s from this moment that these shoes began to conquer the international market due to the huge potential they’re offering quality-wise and comfort-wise. Who can wear Furoshiki shoes ? One of Vibram’s main objectives for the manufacturing of these shoes was not to limit their offer to one community of consumers. This is why everyone can wear Furoshiki, it’s a unisex product. Whether you’re a man or a woman you’ll be able to treat yourself with a pair of shoes that will dress your feet nicely. Furthermore, the shoes are available in several different sizes. They’re available in sizes XS to XXL (36 to 47), which means that everyone can wear them, whichever size their feet are. For those who worry about the weight of the shoes, be aware that Furoshiki is among the lightest shoe in the world. The size 42 pair only weighs 220 grams, so this won’t provide any discomfort when you’ll be traveling. The Furoshiki shoes are manufactured from several types of material. You can choose between the cotton, silk and viscose models as well as those that are decorated with traditional patterns. The soles have an anatomical shape that allows them to adapt to any kind of foot. They are so comfortable that you won’t have to worry about perspiration problems. With their very flexible fasteners and their wrapping cloth, the shoes perfectly fit the shape of your feet and you can put them on very simply. The Furoshiki shoes are also protective. With the inside sole (2mm) for example, you’ll benefit from an antibacterial protection in microfiber that prevents the production of bacteria. This is the kind of sole used by athletes to increase the lightness of their shoes by more than 10%. Regarding the upper of the shoe, it is made of Mesh polyester which is a very efficient protective component. This ensures a perfect durability and lasting breathability. The shoes can be used in any environment, whatever the weather conditions. Whether it’s in the city, at the beach or at the airport, you’ll be able to stay very comfortable and your feet will be better protected. Can i run with the Furoshiki shoes ? If you run with bare feet, the Furoshiki shoes will probably impress you. With their rubber soles, you’ll be able to run as long as you can all the while feeling good in your feet. They are minimalistic shoes that offer you an impressive running dynamic. The soles are sturdy and can withstand the pressures of the feet perfectly when running. All the toes are able to move freely, which will protect you from eventual pains after your physical exercises. For those who want to enjoy a better supporting feeling during their runs, this model will certainly satisfy your needs. The materials are working all around your feet in a comfortable way, and ensure you perfectly held feet around the top of the feet and the arch of the feet. The Furoshiki shoes are among the models that make your life easier when you maintain them. They can be washed in a washing machine, which allows you to keep a perfect hygiene and to protect yourself against unwanted odors. For an ideal washing, it is recommended to leave them open for a few hours after they’ve been used to put them into the washing machine. 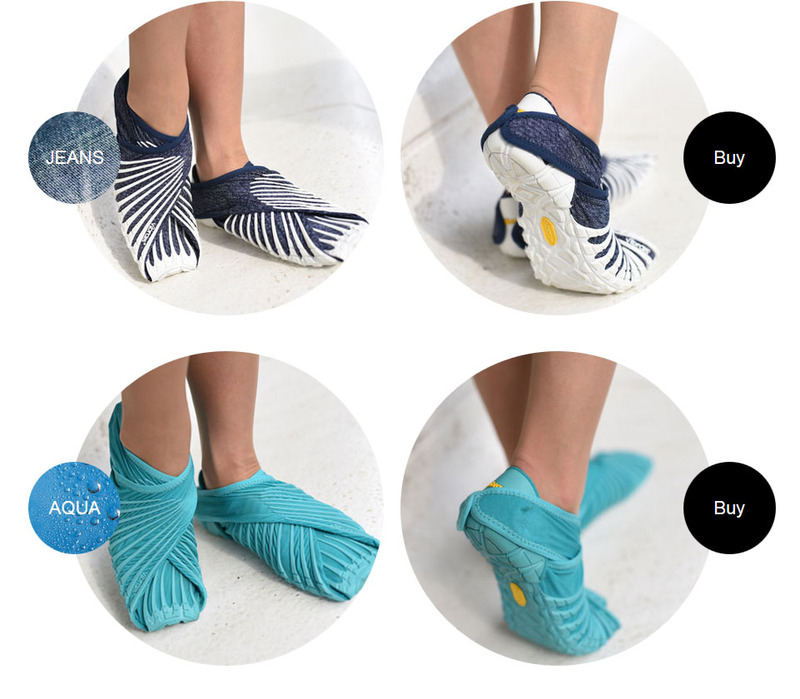 You won’t need to use chemicals since the Furoshiki shoes have been conceived with an antibacterial technology. What are the upsides of the Furoshiki shoes ? The first upside of the Furoshiki shoes is the confort they provide to their users. They perfectly wrap around your feed with their high quality exterior sole. You can wear them to walk around town, relax on the beach, go on a run, etc. The other upside is that they’re easy to put on. They possess a well conceived fastening system that offers you a secure fit while you’re running. Furthermore, the Furoshiki shoes can be adjusted depending on your feet. The soles easily extend depending on your needs. Even for maintaining the shoes, you have several possibilities if you don’t own a washing machine. You only need to wash the shoes in lukewarm or cold water and then let them dry to make them as good as new. Even if the Furoshiki shoes can be used for running, they don’t resist well to heavy physical exercise. This is why it’s only recommended to wear them for up to moderate physical exercise. Furthermore, since the soles are thin, you can feel the imperfections of the ground as well as rocks and other things on which we often set foot. This can end up being painful, especially while running. So it’s recommended to run on a clean ground. The other matter to point out is that your feet can slide when you suddenly stop. This is why we advise you to think carefully about your movements, especially if you often go on sloped areas.